If ever there was a credit to homeschooling, Christopher Paolini would be it. Graduated from high school at age 15, he began working on what would become Eragon, book one of the Inheritance Cycle, a four-book fantasy series. I admit I went into this book skeptically, and it took several chapters before I warmed to the series. Paolini’s writing wobbled between short, abrupt sentences and unwieldy monstrosities. He mimicked Tolkien excessively. He threw in words no natural born American would use. He was a punk kid who didn’t deserve to be published so young. But I couldn’t help it, I got caught up in his tale. 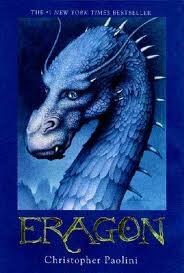 Eragon is an orphan who grew up in his uncle’s house. Out hunting one day, a large, smooth stone appears before him like magic. Of course that’s exactly what brought it to him. 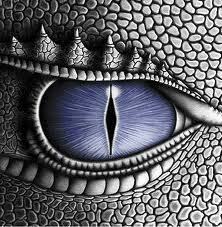 Within a few days, the stone hatches into a dragon, and on touching it, Eragon is marked as a Rider. He is also marked for death by King Galbatorix should he refuse to join his evil regime. A long series of adventures (the book is 500 pages) pairs him with Brom, who trains him in magic and lore and helps him to avoid capture, and brings him to the heart of Farthen Dûr where the Varden, or resistance, lives. But he doesn’t arrive unscathed by tragedy. And he’s destined to meet the powerful and terrifying Shade (evil sorcerer), Durza, in battle. This is wonderfully engaging fantasy that reminds me greatly of The Lord of the Rings, yet it maintains its own identity. I love the relationship Eragon has with his dragon, Saphira. They read each other’s thoughts, enhance each other’s powers, and display unyielding loyalty to one another. En route, Eragon meets up with a young man named Murtagh who helps him out of several scrapes and even aids in the rescuing of Arya, the elf who kept Saphira’s egg out of the hands of Galbatorix. But I think enough clues have been planted to make a couple predictions: Murtagh will turn out to be Eragon’s brother, and he will betray Eragon, and Arya will be the long romance predicted by the witch. But the story ends long before those subplots are developed. That means I have to read the next book. Sweet adventure factor: You can’t get much more adventurous than high fantasy. Elves, dwarves, evil sorcerers, fire-breathing dragons, sword fights, magic—this one will keep you on your toes! And I have to give Paolini credit; he does a fine job. I can’t put him on the same pedestal as Tolkien, but it’s a pretty amazing feat to hit the best-seller list at age 19! This is definitely YA. I’d probably rate it 13+. There is no profanity, just a few uncouth words. But the magic, the evil, the sorcery and a veiled adult reference every now and again make it appropriate for an older audience. If you like high fantasy, I think you’ll really enjoy it. Have walked by this bookcountless times and not picked it up. I really must read the series. Thanks for the encouragement. Excellent and thorough interview.